There is a lot of music to be heard at an NHL hockey game. They play music every time the whistle is blow and the game stops. You better enjoy Classic Rock if your going to watch a hockey game live or on TV because they play a lot of it. I love the music they play, it gets me all pumped up during the game! Here is a list of music you can expect to hear during an NHL hockey game. Queen – We Will Rock You! I will forever miss the old Hockey Night in Canada Song ( The Hockey Theme, composed by Dolores Claman and orchestrated by Jerry Toth ) which is now replaced by Canadian Gold by Colin Oberst. 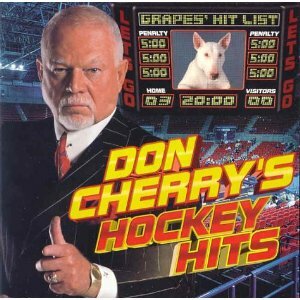 If you know any other good hockey songs that I missed comment below.